Do you want to learn how to negotiate the best business deals without appearing too eager and/or too obnoxious about what you are selling? If yes, then take the time to learn more about conditional selling. 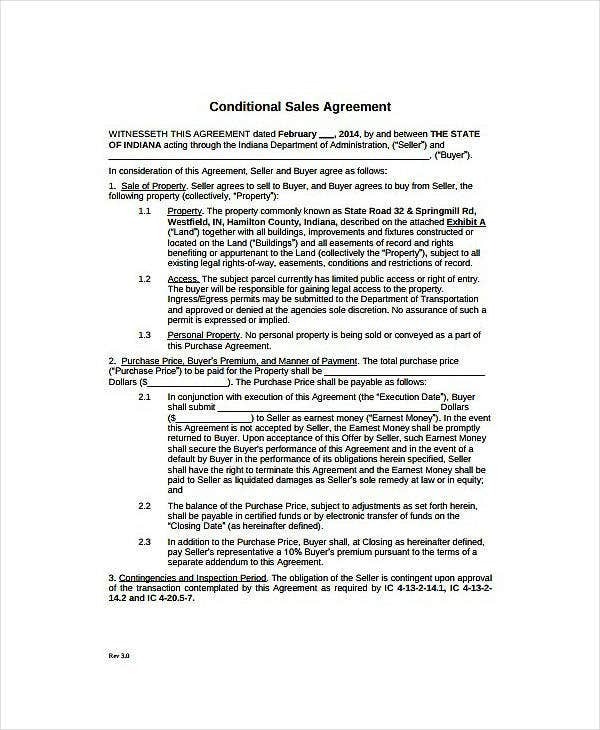 You may also see printable sales agreement templates. In this article, we will teach you how to get the best sales using simple conditional sale templates. We will also provide downloadable examples of conditional sale agreement templates that are used by real-world companies and organizations that anyone may follow to get customer leads and transform them into winning sales. To start this article, we have embedded downloadable examples of conditional sale agreement templates. All of them are available as PDF template files so make sure that you have Adobe Acrobat Reader installed on your computer. 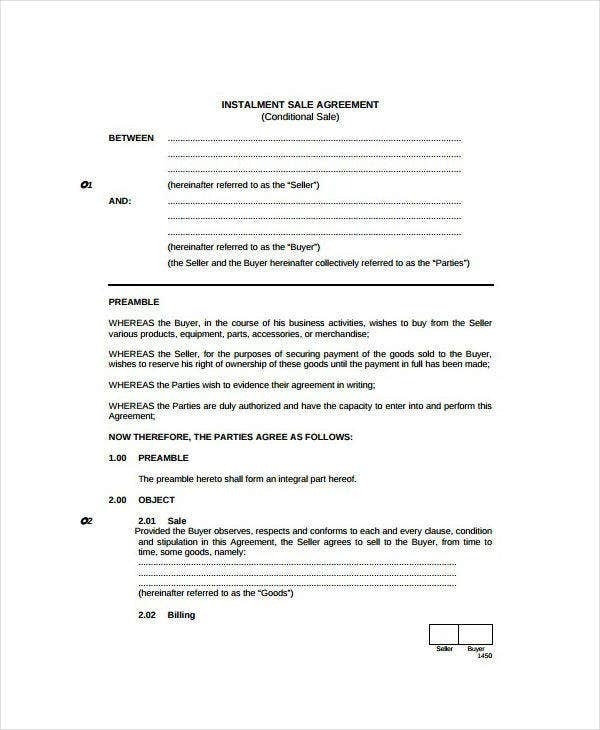 You may download these templates and use them as the base template for your own sale agreements. An agreement is a document that confirms the understanding between two or more parties. When an agreement specifically confirms the exchange of two or more things subject to the completion of certain terms, it is called a conditional sample sale agreement. They are also sometimes called conditional purchases. An example of a conditional sale is the trading in of old cars in exchange for a newer model of the same car brand. In this article, we have included numerous examples of printable conditional sale agreements. You are free to use any of these templates for any kind of project you may be working on. 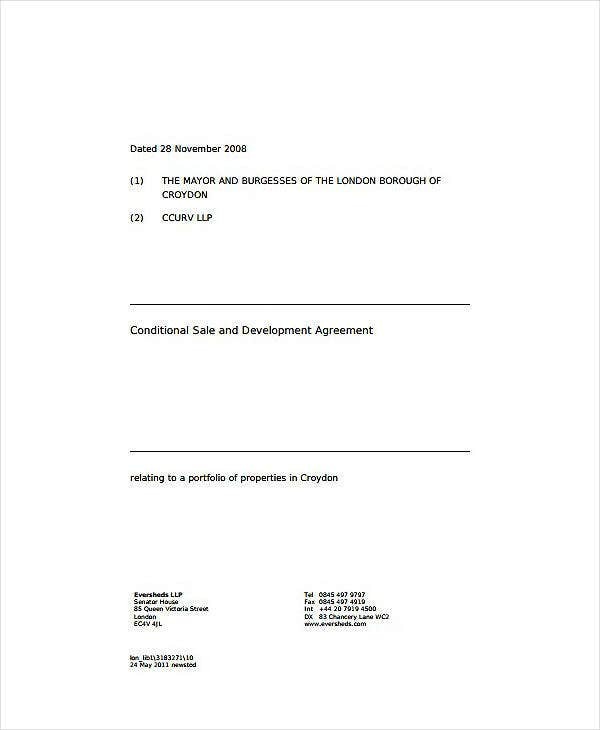 You can also read commission agreement templates. To create a conditional sale agreement (or any kind of agreement), you primarily need to consult a lawyer to make sure that the terms and wording of the agreement are done correctly. In addition, you may still learn how to format your own sale agreement from the different sample printable templates in this article. The creation of conditional sale agreement forms or contracts usually falls in the hands of sellers. So if you are tasked with creating one, we have created this short guide to help you make the best the best conditional sale agreement for your business or organization. Read more about them below. 1. Determine what specific kind of item or service is for sale. There are different kinds of sale agreements depending on the kind of item, product, or service you wish to sell. That is why the first step in creating a conditional sale agreement is to determine what specific product or service you wish to sell and use a sale agreement for. By clearly defining the type of product or service you wish to sell, you will be streamlining the purpose of the conditional sale agreement that you wish to sell. You can also read sample vendor agreements. 2. Define the terms of the conditional sale. The next step in creating a conditional sale agreement is to clearly define the terms or conditions of a conditional sale transaction. For example, if you are selling the shares to a company, you need to include clear terms as to how the stock shares can be transferred from one person or entity to another. By setting up all these pieces of information first, the creation of the actual sale contract or agreement is made easier. 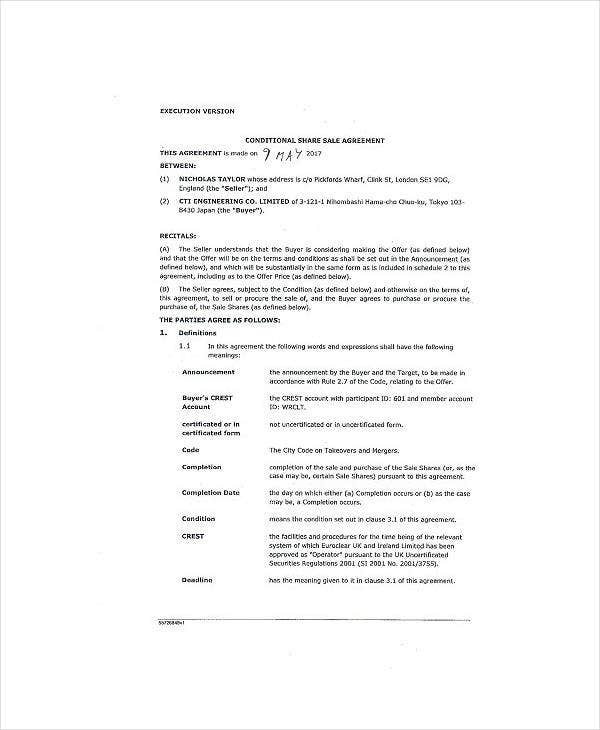 You may also see purchase agreement templates. 3. Write down the personal information you wish to get from the buyer. After clearly defining the type of sale and conditions for that sale, it is now time to list down all the information that you wish to obtain from the buyer. Examples of this information are the buyer’s name, address, job, contact information, preferred payment method, and other information related to the sale. 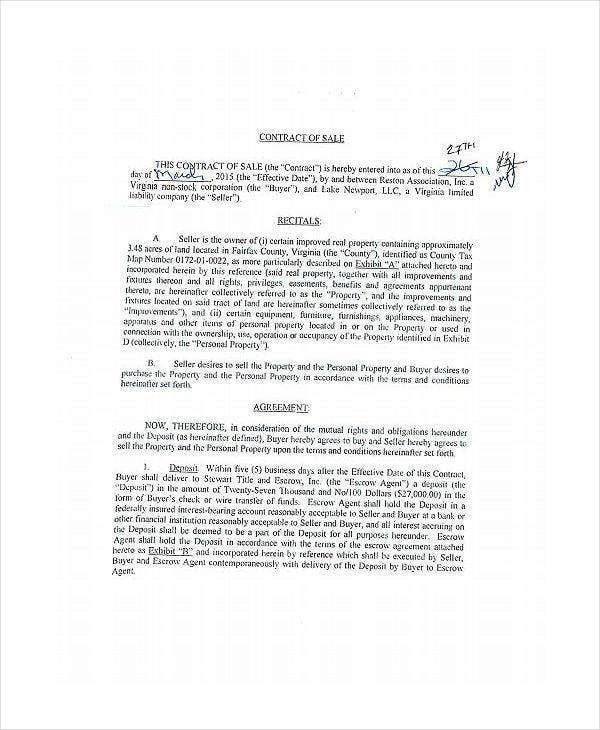 You may also see commission agreements. Obtaining this kind of information is especially important for business owners to decide on whether or not to grant the conditional sale or purchase of their products or services. Take a look at the different free printable templates included in this article for you to see how different businesses gather their customers’ personal information and the different ways that they safeguard it. You may also see agreement samples. 4. Decide on a format for your conditional sale agreement. The next step is to choose a specific format or layout for your conditional sale agreement. Some conditional sale agreements may follow the standard paragraph format just like how a traditional legal agreement looks like. In some cases, conditional purchase agreements may follow a tabular format while others will follow a fill-in-the-blanks format. Browse through all the different template examples in this article and select the sale agreement template format that you think will best suit your business and the products or service you wish to sell. You may also see distribution agreement templates. 5. Use a pre-made conditional sale agreement template. Another option in the creation of sale agreements is to use pre-made sale agreement templates. These are ready-made digital files that will already contain all the formatting and text elements needed to create an official conditional sale agreement. If you want to make the agreement design process shorter, using pre-made templates is the way to go. 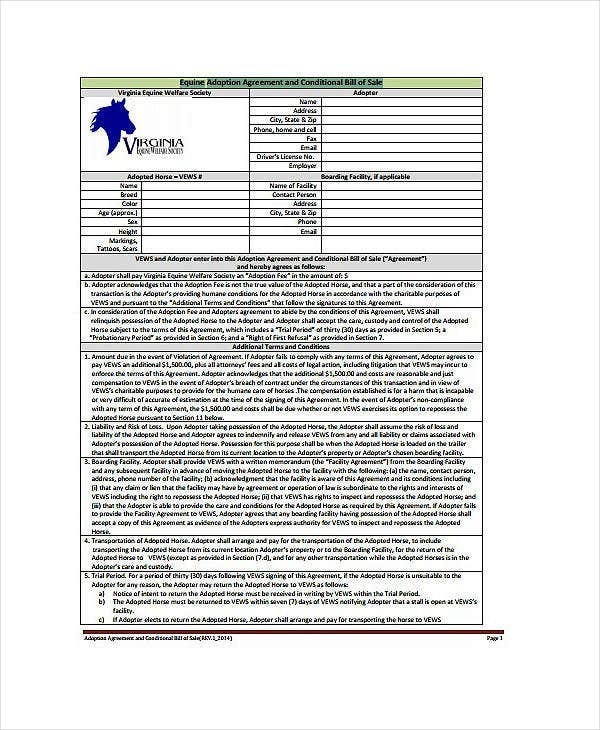 You may also check out vendor agreement templates. In addition, these kinds of templates will also help you follow the same agreement format standards that other businesses in your industry may already follow. But to make your own agreements stand out and become more effective, make sure to customize any pre-made template that you choose. Template customization may range from adding your business logo to the use of your own unique letterhead designs. Whether you have used a pre-made sale agreement template or you have created a draft of your own conditional sale agreement from scratch, this next step can be applied in both occasions. We are referring to the agreement template review process. This is an important step if you want to make sure that your agreement is free from spelling errors, grammar lapses, and even incorrect citations. To complete this step, it is best to have another person review the entire agreement template. This way, he or she can spot errors or discrepancies that you or the original agreement creator may have missed. Make sure to evaluate all the other graphic design elements used in the agreement. For example, you may instruct the reviewer to check the appropriateness of the logo designs, font style choice, letterhead design, and other formatting choices made for the purchase agreement template. 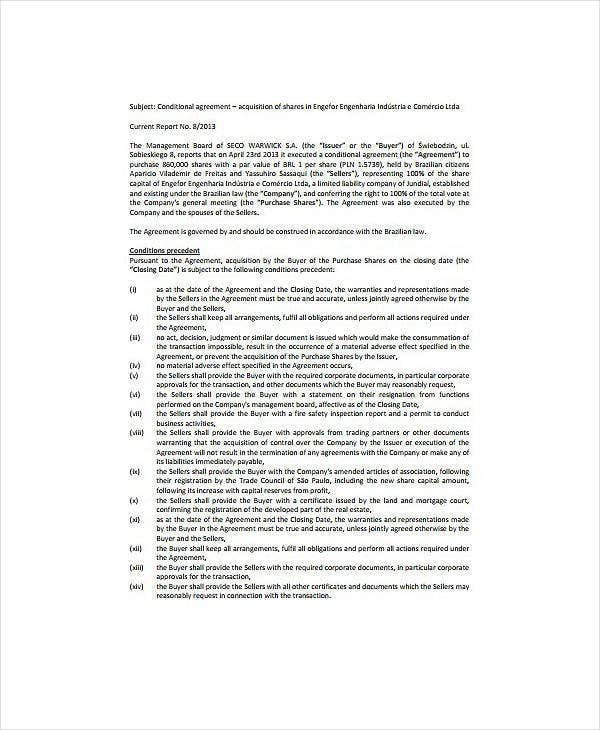 Note that the act proofreading the agreement template is not equivalent to having a lawyer review the terms and wording of the agreement. You should still have a licensed attorney review and make corrections on the template on or before the final agreement template is checked. 7. Print it out and have it signed by your customer. After the conditional purchase agreement is reviewed by both a proofreader and a lawyer, it is now time to print out the template. Do not forget to congratulate yourself (and your team) for finally creating your own conditional sale agreement template. 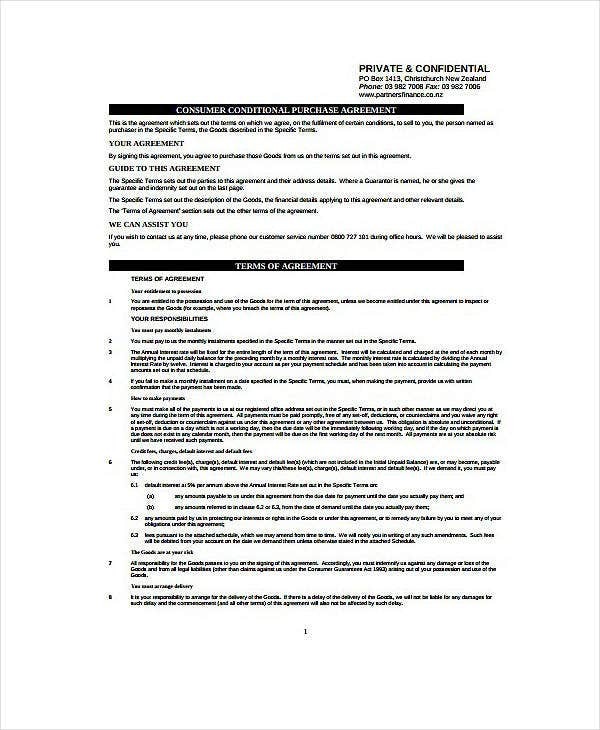 If you are working for an organization or business chain that needs these agreement forms, this is the time where you can begin to send them out to all the other divisions or branches in your organization. Remember to include a set of instructions on how to fill out the agreement template form along with the actual copies of the conditional sale agreement template. On the other hand, if you are only creating one sale agreement for a specific transaction, you can hand out the printed agreement to your client and have him or her review and sign it. 8. Have it notarized by an attorney. Once the sale agreement is signed, you can now have the entire document notarized by an attorney or notary public. This is a crucial step to ensure that your agreement is legal and binding. Having it notarized also adds credence to your business or institution as a record of the agreement is kept in the lawyer’s notary journal. Lastly, do not forget to send a copy of the notarized conditional sale agreement to your client. And that’s it! All the steps that any business owner or entrepreneur needs to do in order to draft their own conditional sale agreements. The only thing left for you to do now is to wait until all the terms of the sale are completed by the client. Afterwhich, the terms of the agreement will be met and fulfilled. Good job! It is now time to start drafting your business’ conditional sale agreements. Begin by using any of the free templates featured in this article and then personalize them to match your company’s unique branding identity designs. Also, do not forget to share this article with your friends and followers on social media!